Have a wedding or reception to plan? Company function to prepare for? 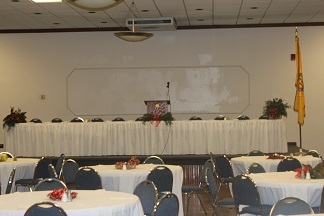 Our banquet room can accommodate large groups, up to 466 for meetings or 350 for dances. 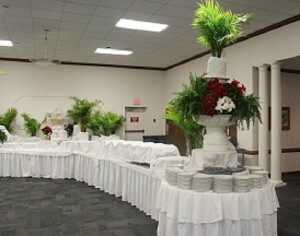 We will work with you to arrange the room to meet your needs. Our club’s Building Rental Policy is available for your information and review at the link below, along with our Building Fee Schedule and additional forms for renting our building. If you would like to check if the building is available for your rental, you can find out on the calendar at the bottom of this page. You can also see what equipment we have by clicking the “FAQ’s and Equipment” link located below. Please call if you have questions! Please review the forms and fees if you have not done so recently. Some changes and updates have been made.